people about my immigration status, though, and it was nice that it was received with such support. 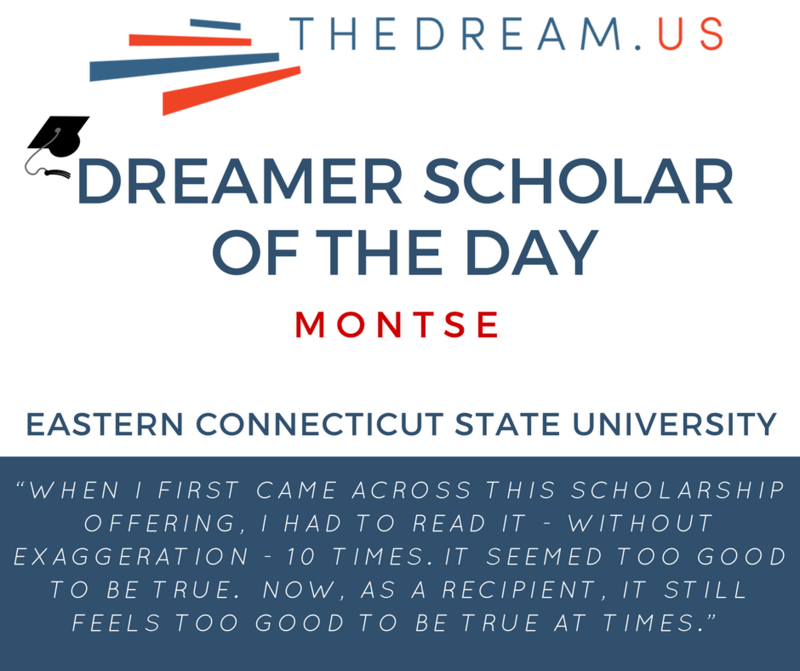 This kind of support, together with TheDream.US scholarship, has helped me get where I am today as a college student at Eastern Connecticut State University. When I first came across this scholarship offering, I had to read it – without exaggeration – 10 times. It seemed too good to be true. Now, as a recipient, it still feels too good to be true at times.